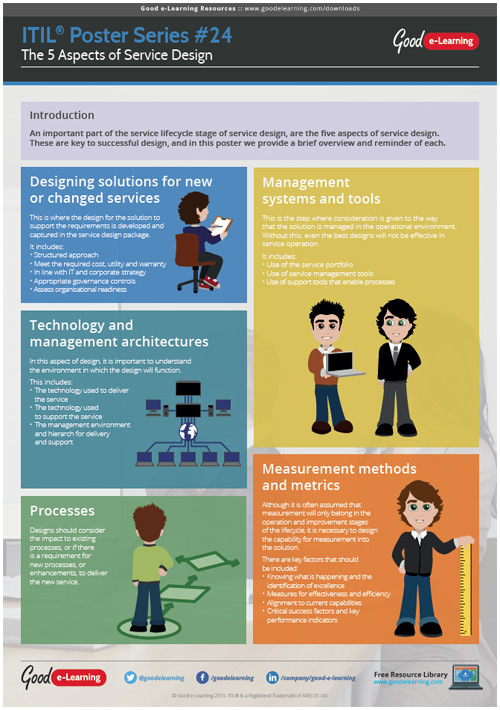 In this learning ITIL Poster, we remind you of the 5 key aspects of service design. These are the key elements that make up the approach to service design, and need to be considered for each new design. They form an important part of the structure of the service lifecycle.